To ensure that Scouting grows and continues to be a thriving force in shaping tomorrow’s leaders today, the Montana Council has embarked on an aggressive endowment program calling for 20-25 percent of its annual operating budget to come from endowment investments, where the principle remains untouched. 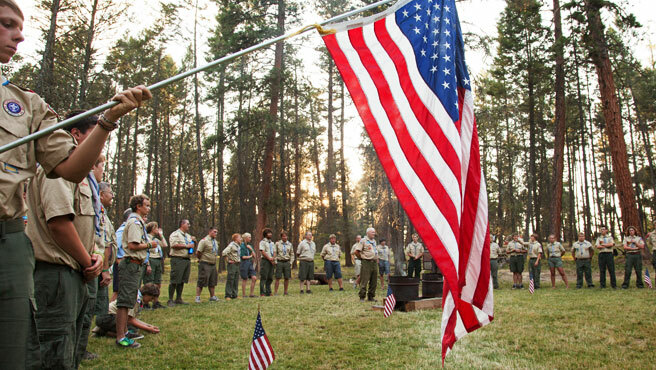 In order to achieve this goal, the Scouts must build their endowment fund to $50 million. You can help! Invest in the future of Scouting and become a member of the Heritage Society. Rest assured that your gift remains intact and that only the interest from the investment is used to promote and fund existing Scouting programs, thereby building a legacy for future generations. Gifts — large or small — can consist of cash, securities, a planned gift through your Will, add a codicil (amendment) to your Will, or consider a dozen other methods. Please consult your attorney or financial advisor. James E. West Fellowship Award: named after the first Chief Scout Executive of the Boy Scouts of America, supporters who contribute $1,000 to $25,000 in cash or securities receive a James E. West lapel pin, a personalized certificate and leader knot. Heritage Society: For donors who make an outright gift of $10,000 to $25,000, or a deferred gift of $25,000 to $100,000. Second Century Society: For donors who make an outright of $25,000 or more, or a deferred gift of $100,000 or more. The Planning Strategies Chart is designed to summarize the benefits of some of the main types of charitable gift. Think about what you want to accomplish with your gift and there is probably a way to do it. Download the Planning Strategies Chart. We’re here to answer any questions you might have about Planned Giving. We can examine your particular situation and together with your attorney and/or financial advisors, help to find ways to support our mission while ensuring your family’s financial security. For more information on giving opportunities, contact Jory Dellinger at 406.926.1810.